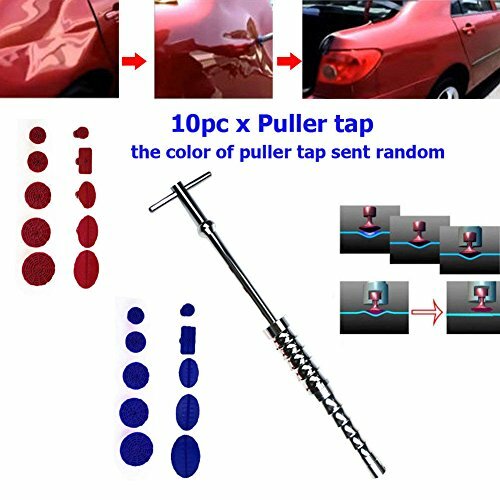 Simple operation, directly for your rapid recovery of dent. 8 different sizes of puller taps, suitable for all sizes of dent. Free paint repair, do not destroy the original paint, fast and environmentally friendly. Great for car surface sheet metal, refrigerator, washing machine surface sheet metal. Practical and durable,suitable for a variety of flat metal concave place to use.